- UVBs are the burning rays, while UVAs are the ones that age your skin. - Avoid oxybenzone, a synthetic estrogen that penetrates the skin and can create a hormone imbalance or trigger allergic skin reactions. - Sunscreen should be applied to all exposed skin, including ears, toes and apply lip balm for your lips. - Reapply every two hours or while sweating, or after going in the water. For water-resistant sunscreens, reapply after 40 to 80 minutes of activity. - Avoid sun exposure, especially during the hours of 10 a.m. and 4 p.m., when UV rays are strongest. - SPF needs 20 minutes to sink in before your skin is completely protected. - The proper amount of sunscreen for an adult full-body application is 2 to 3 tablespoons — or about the size of your palm. - Sunscreen brands recently had to change their labeling for accuracy, which means you won’t be seeing “sunblock” or “waterproof” anymore. Instead, you should look for “water-resistant” and “sweat-resistant”. Another phrase is “broad spectrum” because that will protect against the UVB and UVA rays. - Extreme heat exposure can reduce the potency of sunscreen’s active ingredients, store it in a cool or room temperature place. 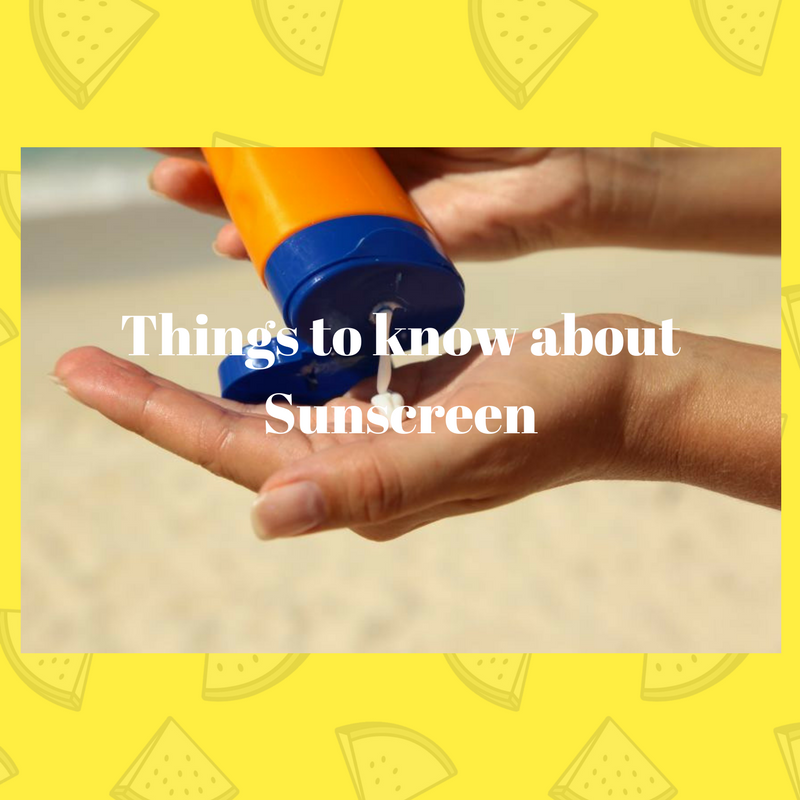 - Sunscreens retain their original strength for up to three years, so pay attention to the expiration date—and if your bottle doesn’t have one, write the date you purchased it on the bottle, so you don’t forget. - You can also look for physical signs, like a change in color or consistency, to see if your sunscreen is still good. If it looks, feels, or smells funky, it’s time to purchase a fresh bottle. - Fruits like watermelon, guava, grapefruit, and tomatoes are high in an antioxidant that has been shown to behave like sunscreen from within. The beta-carotene in carrots and sweet potatoes can help protect skin, and even dark chocolate (70 percent or higher) has been shown to have a positive effect on your body’s natural sun protection. This doesn’t mean you can skip the sunscreen, but extra protection is always good and any excuse to eat more dark chocolate is a good excuse, right? Are you ready to enjoy some fun in the sun?